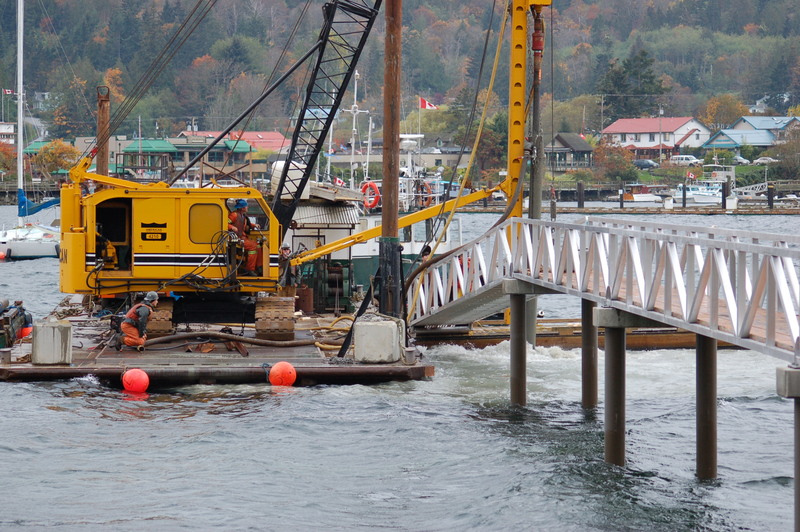 Island Marine Construction Services provides pile driving and drilling services for the marine construction industry. Our services include the driving or drilling of timber or steel pilings from 10” – 24” diameter using Drop Hammer, Vibratory Hammer as well as drilling with our Rotary and Churn drilling systems. Island Marine Construction Services Ltd.